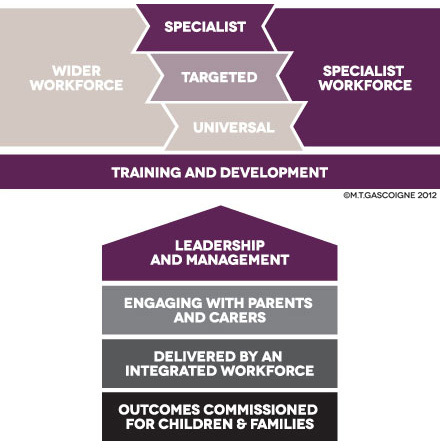 The Balanced System® is a strategic, outcomes-based, whole system framework and suite of tools and templates that can be used to improve the commissioning and delivery of services which benefit from an integrated approach to delivering outcomes for children and young people. The Balanced System® framework, developed over 15 years, was devised to provide a practical, holistic solution to the challenge of meeting the needs of children and young people with speech, language and communication needs (SLCN). The framework has been extended for use across other therapeutic areas including Occupational Therapy and Physiotherapy. The Balanced System® is a framework and suite of tools and templates that can be used to improve the commissioning and delivery of services which benefit from an integrated approach to delivering outcomes. The model is theoretically driven and practically tested and is now being applied to other allied health professions and wider services. © 2019 The Balanced System, all rights reserved.